Frank was the first person to go during the double eviction but another soon followed. This houseguest has equally been placed on the block multiple times and ranks as the biggest floater this season. While I won't miss his yelling in the diary room, he never had a shot to win. Surprisingly, he was an alternate since another male houseguest backed out from playing - glad he got a shot which other alternates never really get. This player will be the fourth jury member and will help Ashley, Britney and Frank determine which player will win on Finale Night. 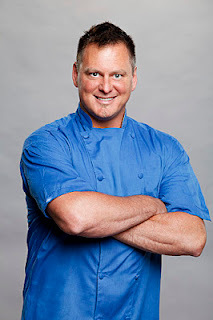 Until then, the next player evicted from the game is Joe, the 41 year old chef from Indiana. Joe was the house chef who had a penchant for yelling in the diary room. On Day 1, he was selected by Big Brother 6 veteran and coach Janelle to join her team, along with Wil and Ashley. Joe never won a single competition or was given safety by Janelle. He was nominated plenty of times but was never the target; he was always the pawn. During the second double eviction of the summer, he survived the first eviction against Frank but he was nominated against Ian by Head of Household (HOH) Dan. Unfortunately for Joe, Ian won Power of Veto (POV) and saved himself. On Day 62, Joe was evicted by a vote of 3-0. Joe could never find footing in the house. Sure, he coasted and provided competitors with an extra vote they needed to evict a threat. The problem was that no one took him serious enough to want to work with him beyond a voting stance. Being a floater is a great way to survive the early weeks and stay under-the-radar but the strategy can't win the game. Joe tried to convince those around him to work in powerful alliances but his appeal didn't lead to any true partnerships; he was no strategist and he definitely wasn't an athlete. Once the teams were dissolved, his "alliance" of Janelle, Ashley and Wil imploded when Janelle was evicted and neither Ashley or Wil warned him ahead of time. He was left in the game on his own and it was only a matter of time before Joe was finally evicted. Joe needed to improve his image. He couldn't win any challenges which meant that his social game and alliances were all that he could offer (he didn't really do well). 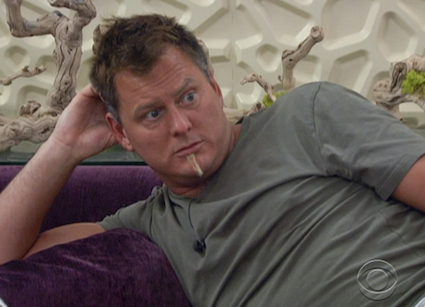 After Janelle was evicted, he played it smart by laying low and letting the bigger threats target each other, but he didn't use that time to create new alliances with players that he didn't connect with before. If he had sided in saving Britney, he could have become a member of another powerful alliance against Dan, Frank and Jenn (Danielle would have been evicted at that point). Actually making a moving when he was presented with the opportunity could have helped Joe. Did I think Joe could win Big Brother 14? No. He wasn't one of the powerful players nor could he convince the others to actually give him a vote. He did make it far and I have to applaud him because most players could never make it to September, let alone a jury spot. Chances are this will be the last we'll see of him and I hope he had some fun playing. I will say that after Joe and also Hayden from Big Brother 12, houseguests really need to stop screaming in the diary room! There are 98 microphones... we can hear you just fine.